I had received a call from my dev team saying that they are getting an error “The remote session was disconnected because there are no Remote Desktop License Servers available to provide a license. Please contact the server administrator” while connecting to the development server through RDP. Then I realized that remote desktop license got expired. Coming to the background of the issue, I was enabled 120 Days of Remote desktop License in the same server to connect multiple developers at the same time now it got expired. I had opened remote desktop with this command mstsc/admin and able to login to the development server through RDP. After spending a lot of time on the internet, I had followed some stupidity steps to reactivate 120 days remote desktop license and I succeeded luckily. Please note that below steps Include deleting registry keys, it’s highly recommended to take a necessary backup before following any steps. **Please read blog Disclaimer (Disclaimer available end of every page). Step 3: How to take ownership of the Grace Period Key? 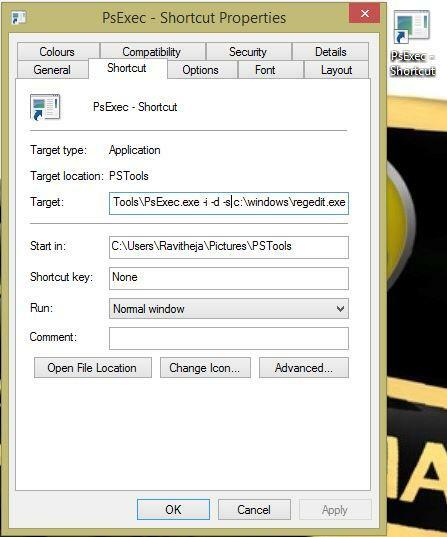 Open PsExec shortcut key as an administrator.